Chief, a brand of Legrand’s AV division, has over 40 years of proven product and service excellence, with numerous product awards and patented designs to its credit. Chief has an extensive portfolio of inspired solutions for flat panel displays, projectors, desktop monitors and other AV components. Chief’s innovative products and creative solutions support and complement the latest technologies and solve unique customer challenges. Whether your installation is indoors or out, Chief has what you need to support your systems. Enter the details of your installation and we’ll put together a customized list of Fusion components to help you build it. Florida International University's interactive classroom brings together students at the Chaplin School of Hospitality and Tourism. Thin-profile wall mounts by Chief make it easy for the displays to be pulled away from the wall and moved at any angle desire. A number of flat panels are equipped with Chief’s automated swing arms, which can easily be positioned to maximize viewing angles. 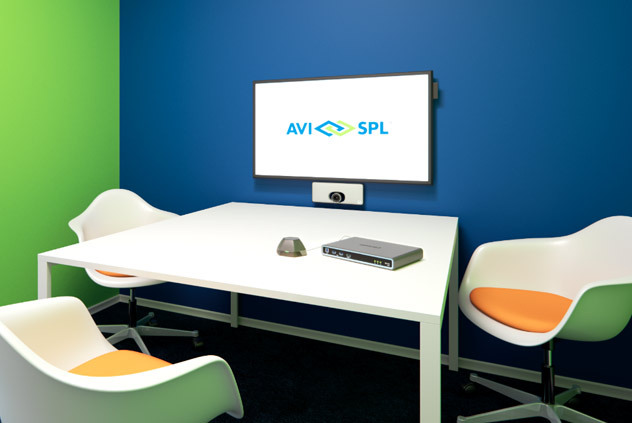 AVI-SPL and Chief work together to create the perfect installation for your project. Chief mounts are designed with features to speed installation and provide strength, flexibility, and ease of use without compromising on quality. From flat panels, projectors, desktop monitors and other commercial and enterprise AV components, Chief and AVI-SPL have what you need. OB1U Over-Whiteboard Interactive Display Mount – Allows for easy installation and adjustment of heavy interactive flat panel displays over existing chalkboards or whiteboards. Impact™ Series On-Wall Kiosks – Bring new flexibility to the digital signage enclosure market while maintaining a sleek aesthetic to complement a variety of environments. TiLED™ LED Video Wall Mounting System – The TiLED™ Series is a modular, LED mounting system designed to support creative video wall configurations. The system can include any of three mounts supporting 1, 2 or 3 LED displays. Floor-to-Ceiling Cable Mount – TIdeal for retail and quick service restaurants, this is a sleek solution that maximizes aesthetics while minimizing footprint. Supports both portrait and landscape orientations in a single SKU. CMA348 – Large Venue Vibration Isolating Coupler – Reduces image movement caused by common building vibrations like HVAC, foot traffic, road traffic and doors shutting. Electric Height Adjustable Mounts Series – Ideal for interactive applications with electric height adjust capability to create better accessibility to technology within your space. Adding huddle spaces and collaboration spaces to an open office design brings people together in a way that goes beyond talking about ideas. It allows them to all work on the same project at the same time—to collaborate.